The journey described in Golf in the Wild starts in the hills of Northumberland and heads north through Border Reiver country towards Scotland’s Highlands and Islands. The route meanders along the high road to Mull, Skye and heads further north along the sharp edges of Scotland’s Atlantic coast; the landscape becomes progressively more spectacular such that between the Vernal and Autumnal equinoxes it is a pilgrimage into the light. The golf courses determine the route and were chosen because they have certain attributes in common; they are all 9-holes, they are generally quiet with honesty boxes and they are all in magnificent settings. The chosen route does its utmost to avoid centres of population and busy roads; Golf in the Wild is as much about the journey, as the golf courses discovered along the way. A life time of technical writing, an unhealthy interest in speed and a passion for golf have finally coalesced. 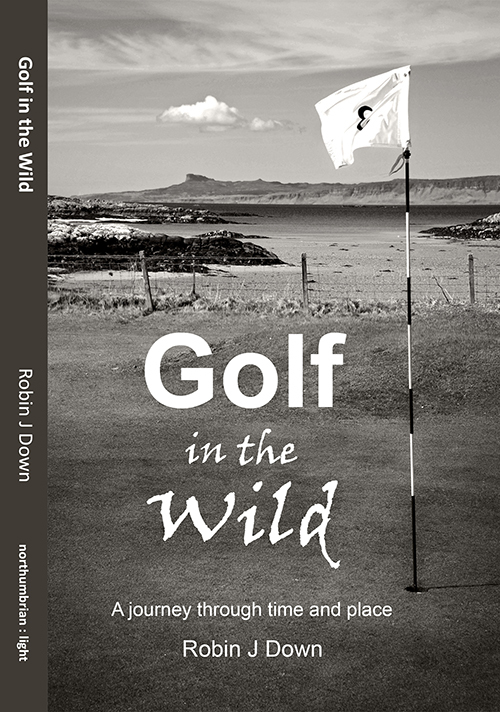 The author has found his real voice in the pages of this book; a journey into his past played out across golf courses in wild places to the distant sound of racing engines.